One of the best things about counter tops is their versatility. 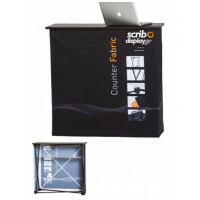 Not only can you use counter display stands for promoting your product or event, they can also be used in a more personal fashion. Sometimes, it happens that small details are neglected until the last moment during an exhibition or event, and a rush to get everything set up in time will ensue. By using a counter top display, you will save yourself from many of these moments of confusion and haste. 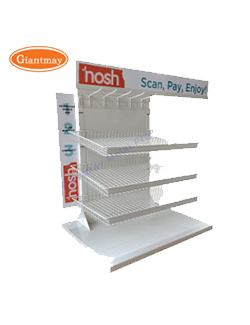 Furthermore, any promotion or sale items can easily be organized on your counter display. Because you will need to capture the attention of your customers, we offer the best range of counter tops that are not only practical but also portable and durable. 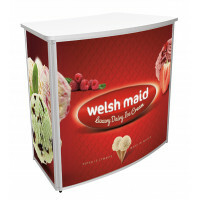 Our catalogue features a wide variety of counter display stands to choose from. The subtle difference in the designs of our counter displays makes each one of them unique and different in its own respect. Therefore, there is a very good chance that at least one of them will suit your needs well. Moreover, you can even use our counter top displays at your home or office, making it easier for you to organize small items that are easily misplaced. Hence, the scope of the usage of this excellent product depends entirely on your creativity and needs. Though our counter top displays can perform all of the functions that you may need, they can be acquired at the most affordable price you will find anywhere. 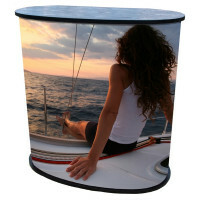 Therefore, do not worry about anything, and pick the counter top display that best suits your needs.